Are you already counting down until season 8 returns? 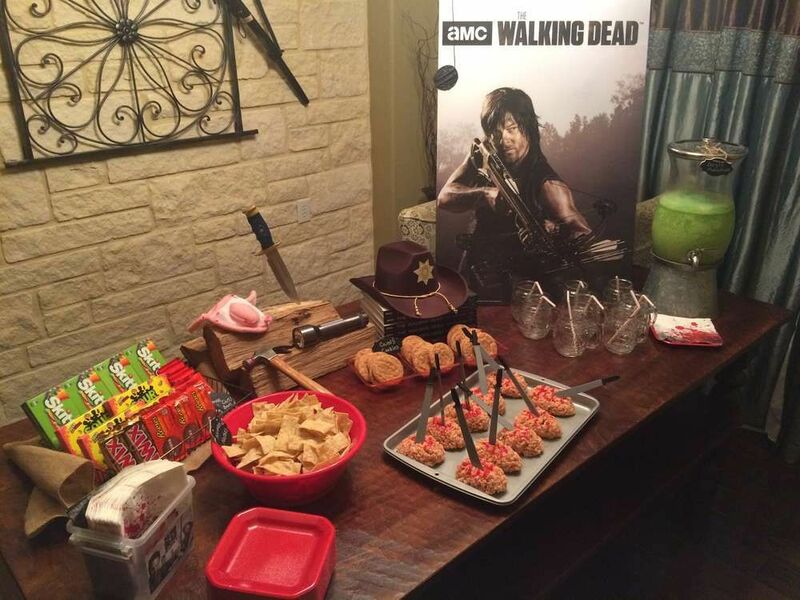 Do you want to celebrate the Walking Dead? How about we help you set up for the BEST watch party the lucky people you call friends have ever seen? Well follow me. The upcoming weeks I will help you get mouthwatering snacks, tasty drinks, awesome decorations and unforgettable games! Hello there boys and girls. 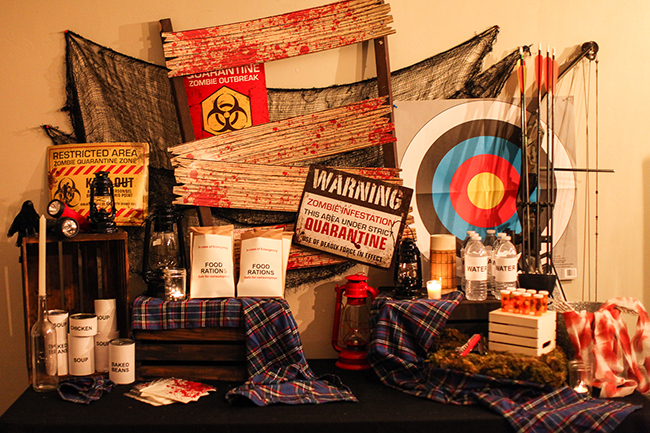 Are you ready to give your party that extra bit of awesome? Well as always we ain’t doing rocket science, anyone can do it! Trust me, I know. So let’s creep up your home! *claps hands*. Most things can be bought in store and doesn’t require any or a lot of work. 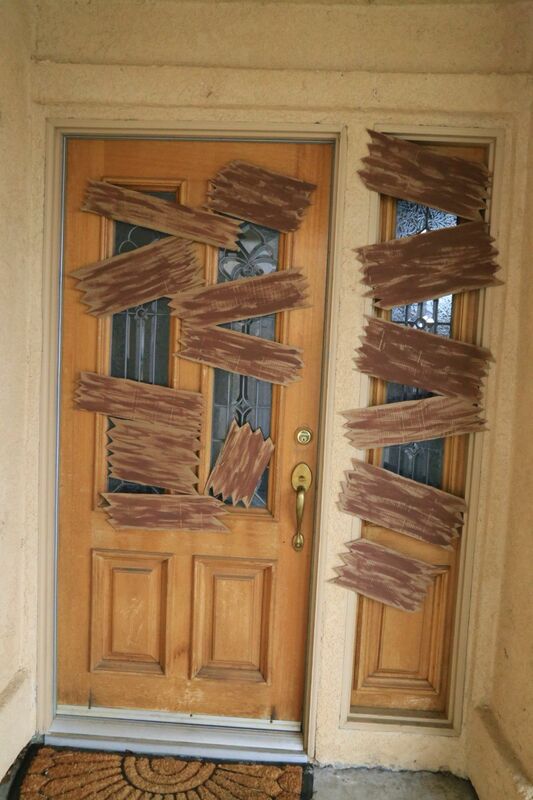 It’s always g ood to go scary for your decoration. 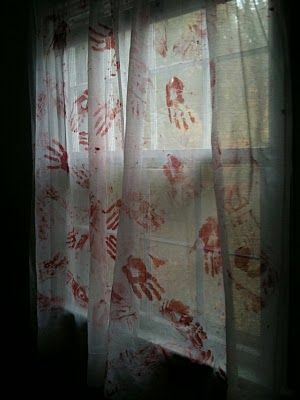 Bloody curtains are easy to make.Just get some old sheer fabric. Curtains, drapes, bedlinen all work just fine. Then get some red paint, fabric paint works best. And just go crazy. Use your hands (and feet are cool too) and just stamp your cloth. Hang out to dry and just hang them. You can even use pushpins to hang your curtains! Or just go nuts on your windows with glass paint. Be sure to remove it though, or your neighbors might worry something went down. 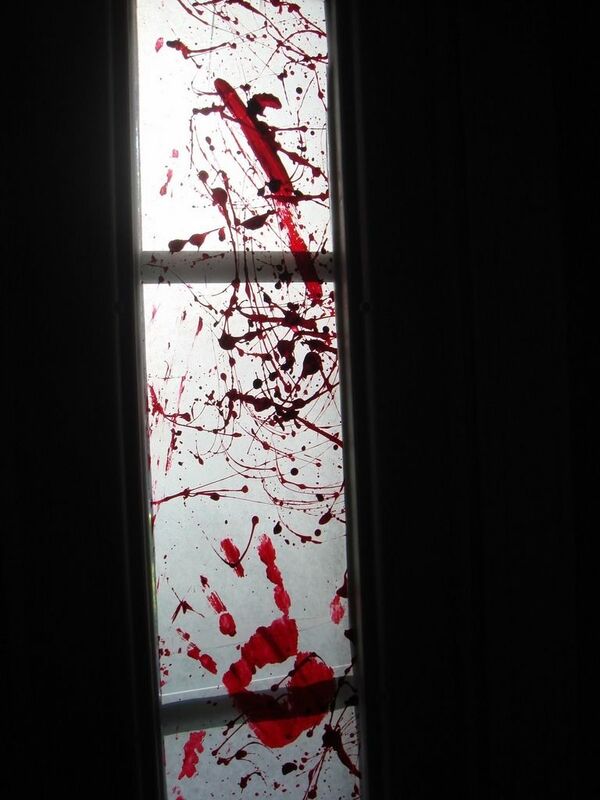 If you’re not into blood how about painting some cardboard and board up your doors and windows! We got blood, we’re boarded up, what more do we need? Ok, ok, some love ‘em, some don’t. But I think weapons are an essential part of our survival. So get your little brothers (or your own, we don’t judge) toy guns, bow and arrow etc. Combine them with some targets and you’d be ready to test the weapons. Sounds fun, huh. Well next week we got some party games for you too! So here’s some inspo to decorate your tables with. As you can see, you can stain old t-shirts with red dye too and add them. If you’d like some nice prints to hang. You can find tons online. Paper is fine, you can even use some picture frames. Or just go with minimalistic decoration and finally hang that lifesize Darrel poster ! See it's not really that hard to decorate your home for your party! Tune in next week for some games to keep your guests entertained! Draven Delaney that's awesome! I would decor my house like this just for the heck of it and leave it year 'round.